If I used a DIY mouthwash which included peroxide, would it damage my porcelain veneers? It’s important to me they’re well cared for (as well as the rest of my mouth). If I can’t use that, what can I use? 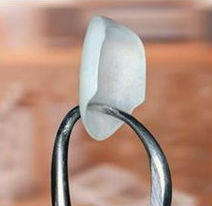 It’s great that you want to take care of your oral health as well as your porcelain veneers. With great care, they can last a lifetime. To answer your question, a mouthwash which contains peroxide won’t harm your porcelain veneers. However, depending on the frequency of use, it could harm you. The occasional use of hydrogen peroxide will be beneficial. Regular use, say for a week or two, will lead to an imbalance of the microorganisms in your mouth. When that happens, you’ll develop a painful oral yeast infection. So, if you do want to do it, don’t do it too many times close together. Spread it out quite a bit. If using a mouthwash is important to you, there is one particular ingredient in a mouthwash you’ll want to avoid. Don’t use anything that contains alcohol. The reason for that is it will eat away at the bonding on your porcelain veneers. This will lead to them falling off. There are plenty of mouthwashes on the market which will be safe to use. Just check their ingredients list for alcohol and you’re good to go. The most important thing you can do is have regular oral hygiene at home and keep up with your dental checkups to keep your teeth and gums healthy. I usually recommend cosmetic patients use Supersmile Toothpaste. It’s specifically formulated to clean cosmetic dental work. One other thing to be careful of has nothing to do with you. When you go in for your regular appointments, make sure your hygienist doesn’t use anything like a prophy jet during your cleanings. This will take the glazing off your porcelain veneers. 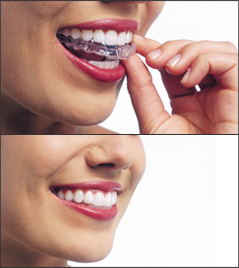 When this happens, you lose the protection for your veneers and they will start picking up stains very quickly. 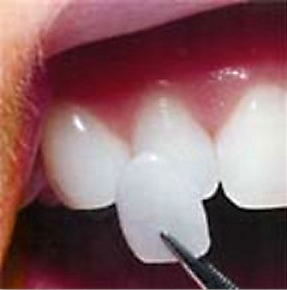 Bleaching them will be completely ineffective because teeth whitening only works on natural tooth structure. Does Cosmetic Work “Grow on You”? I’m trying to make a big decision. I paid a fortune to get porcelain veneers. These were supposed to be my dream smile. My dentist and I went over exactly what I wanted and he seemed to think it would be wonderful. When they came in, they looked fake. He wanted to bond them on but I could tell by how they looked when he showed them to me I wasn’t going to like them. I asked for a try-in. I’d read about those. He allowed me to do that and it confirmed my fears. They looked fake, bulky and chalky white. I told him I didn’t like them. He said that’s a common reaction because patients aren’t used to how they look with the new “teeth”. He said they’ll grow on me and I’ll come to love them. I told him I need to think about it. I’m just not sure I want a smile that has to grow on me. I was expecting one I’d love. Be honest with me. Am I overreacting? Will it grow on me? A smile makeover from a great cosmetic dentist will make you want to share your smile—not hide it. You are certainly NOT overreacting. In fact, you’re being pretty understanding given the circumstances. You were also wise to have asked for a temporary try-in of your porcelain veneers. If he’d have bonded them on, it would have been permanent. My first thought is your dentist isn’t a true cosmetic dentist. There are a few things which draw me to this conclusion. First, when he said, “that’s a common reaction”, I was glad I wasn’t drinking anything because I would have spit it out. Maybe with his patients that is a common reaction, but it’s certainly not so for artistic cosmetic dentists. Most of the time their patients are absolutely thrilled with the results. That leads me to the second reason. When a skilled cosmetic dentist does have a patient that isn’t thrilled, they certainly wouldn’t tell them they would “get used to it”. They go back to the drawing board. They wouldn’t stop until the patient was absolutely in love with their new smile. The third reason is he didn’t suggest trying them in first. YOU had to suggest that. I would give him a couple of choices. First, he could give you a refund and let you have your smile makeover done by a more skilled cosmetic dentist or he can re-do the case until you are satisfied with the results. Let’s say you decide you want to go to a different cosmetic dentist. 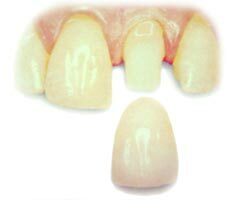 How do you go about finding the right dentist who can actually design the smile of your dreams? The easiest way is to do that is to use the search link on the American Academy of Cosmetic Dentistry’s website (aacd.com). When you use their search tool, make sure you check that you’re looking for an accredited dentist. These are the ones who proven both their technical knowledge and artistic ability. This blog is brought to you by Louisiana Dentist Dr. Mike Malone.